This book is for all those who ever dreamed of leaving a hectic life for a semi-tropical island paradise. The author and her husband learn that a retirement to voluntary simplicity on the Bahamian island of Great Exuma - without television, telephones or shopping malls - creates a lifestyle that brings its own sense of adventure and style. Rubbing shoulders with an unusual mix of islanders, tourists, winter residents, VIPs, yachtsmen, and modern-day buccaneers, these intrepid New Yorkers learn to survive boredom, loneliness, homesickness, and the retirement blues. 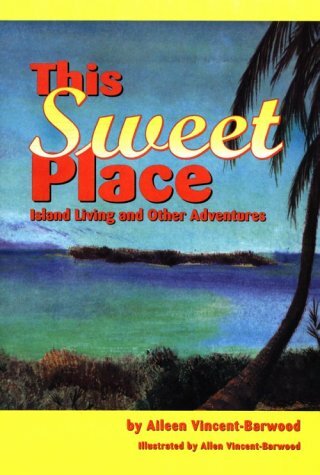 Written in anecdotal style, and illustrated with engaging sketches, THIS SWEET PLACE follows the author's struggles with simple chores like shopping, cooking, socializing, and home building as she learns that the islands have their own special rhythm to be observed - a tempo directed by climate rather than time. We come to know the real Exumians - descendents of slaves and slave owners, formidable sailors and devout farmers - and to appreciate their often difficult lives in what many consider a paradise on earth. This is a witty and warm-hearted account that will appeal to retirees, escapists, and those planning for retirement. Anyone who has lived a life of hard work and long hours can use this book as a life preserver or a guidebook to paradise. Aileen Vincent-Barwood is a former journalist, overseas correspondent, newspaper editor, radio and TV commentator, and author of the book NORTH COUNTRY EDITOR.